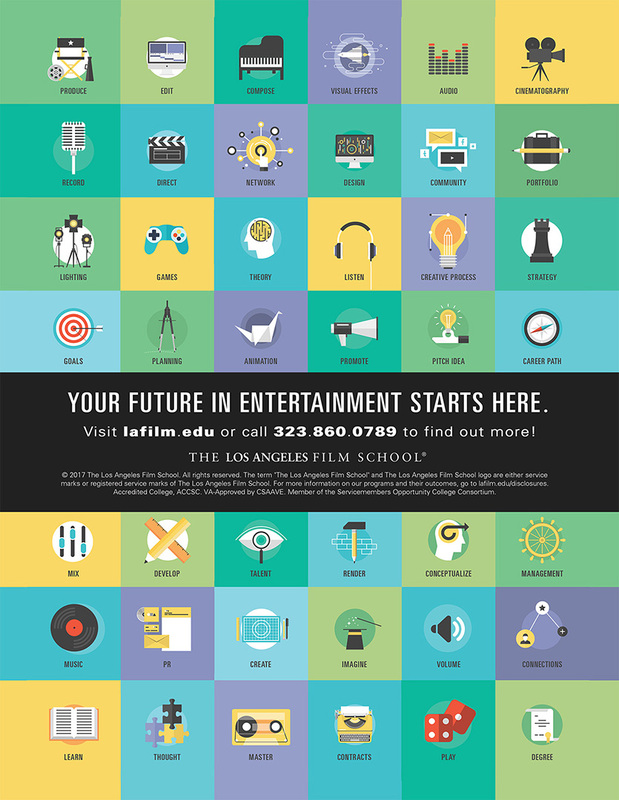 The PREPSKILLS® U.S. 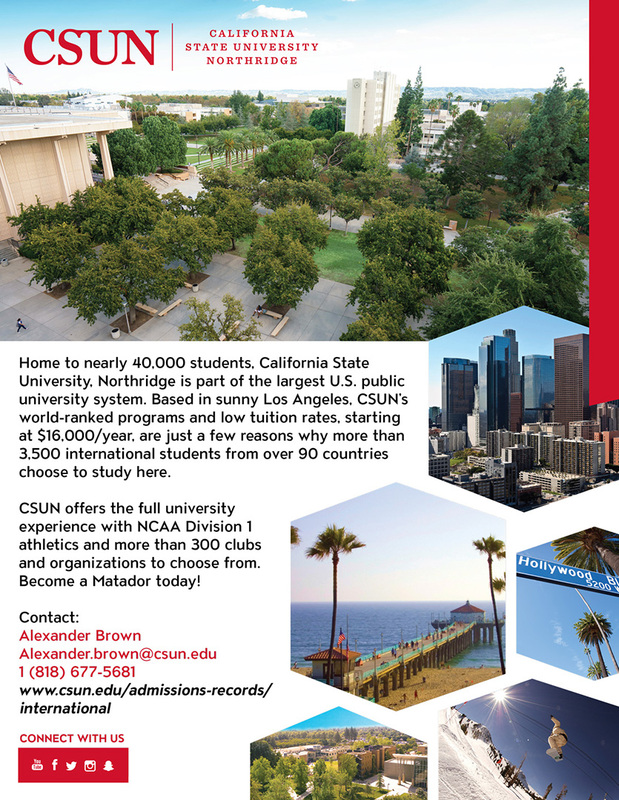 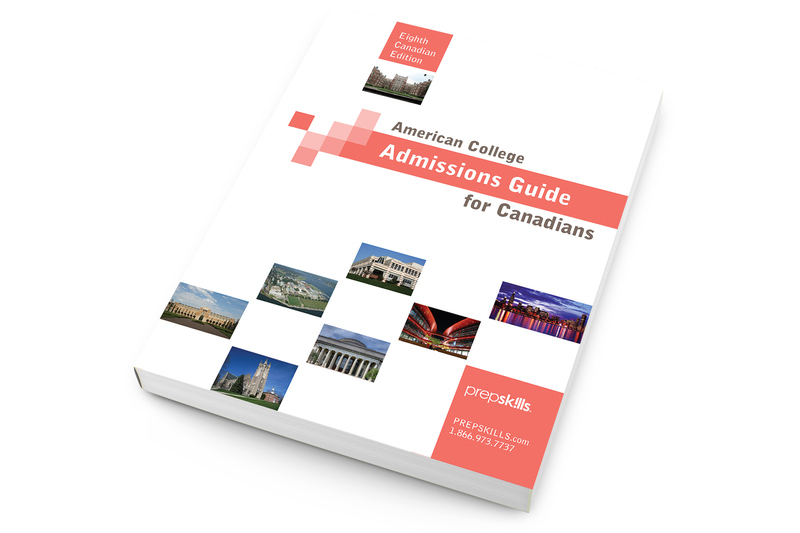 Admissions Guide is the only guidebook of its kind to target Canadian students who are applying to American universities. 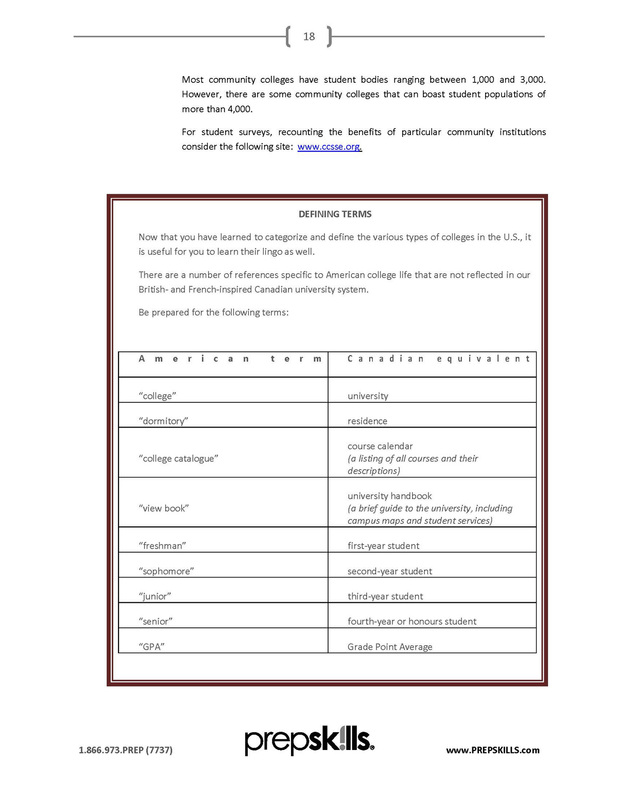 The US Admissions Guide includes information related to American colleges and universities, their respective admissions standards, the different modes of application (including the Common Application), and the means by which a student can differentiate her/his application from the thousands of other applications entering the admissions system. 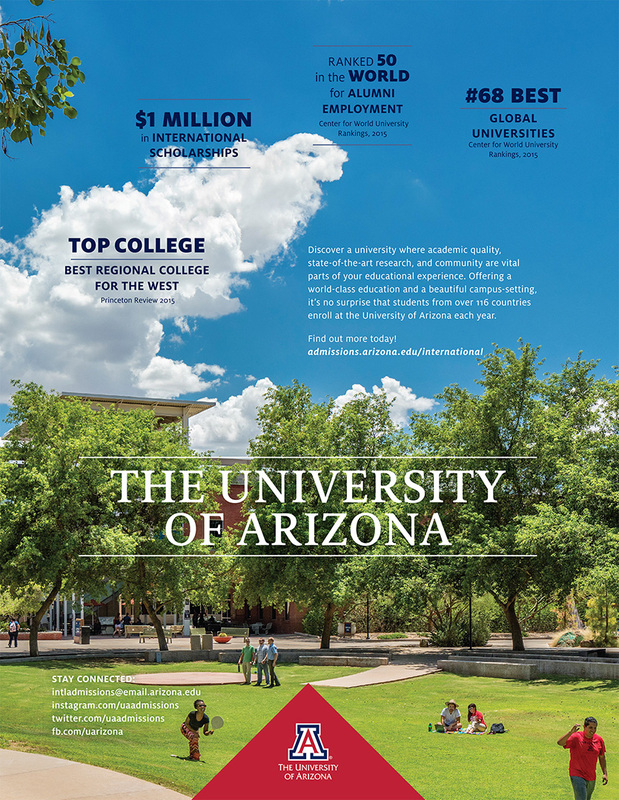 Crucially, the PREPSKILLS® U.S. 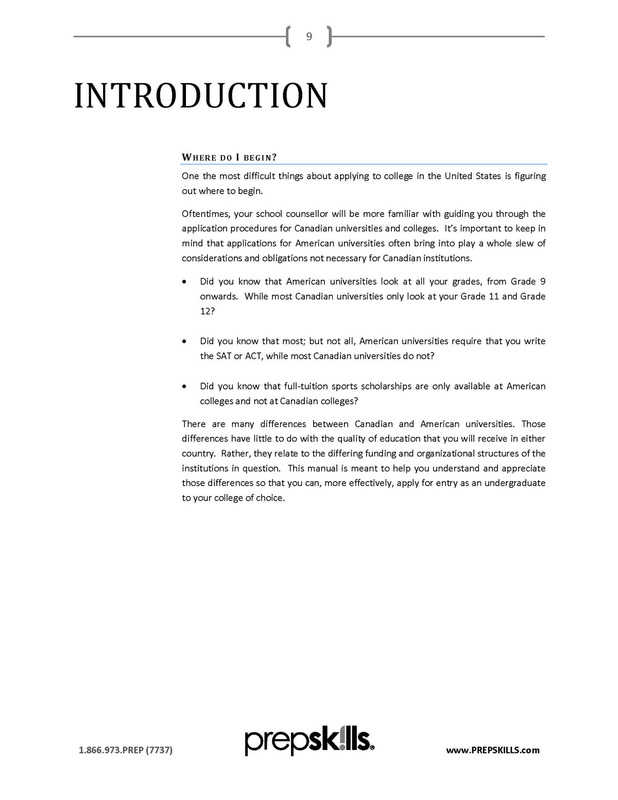 Admissions Guide also provides students with information related to scholarships and funding available to Canadian students and it offers students and counsellors a detailed break-down of “need blind” versus “need aware” funding structures at American colleges. 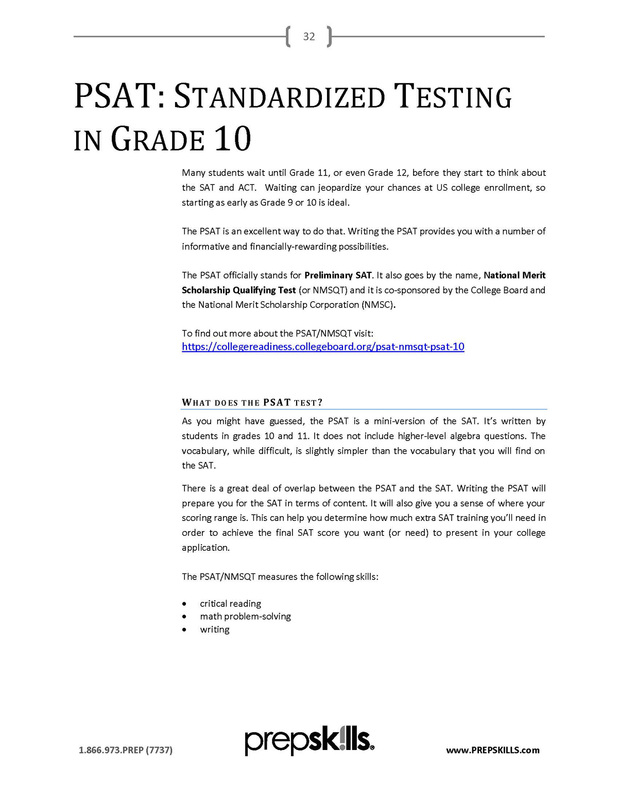 This bundle also includes the PREPSKILLS® SAT Sample Test (37 questions in total). 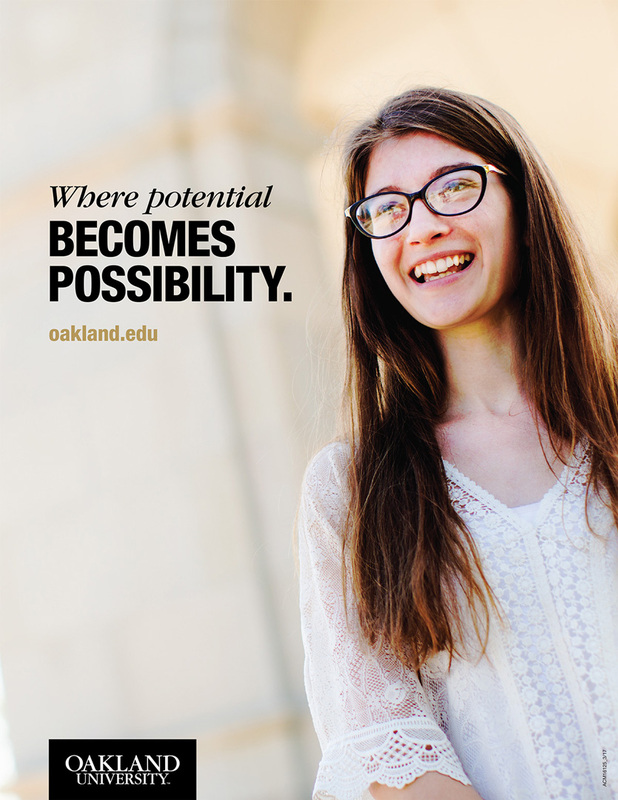 The SAT Sample Test offers students a glimpse of what constitutes “easy”, “medium”, and “hard” SAT-style questions in reading, writing and mathematics. 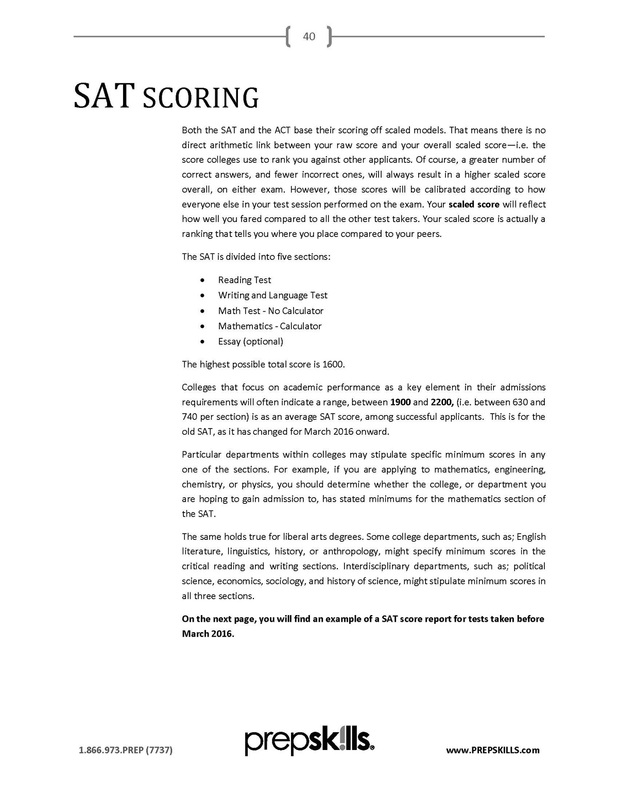 Students can use the Sample Test to determine where their skills levels range and thus plan for further preparation (note: the Sample Test is not a full-length SAT exam).